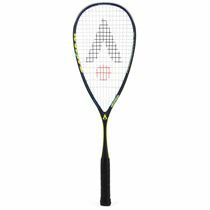 Karakal Raw 120 squash racket double pack is a stellar choice for those who want to start enjoying squash immediately with a friend, since it features two recreational frames as an amazing value for money deal. 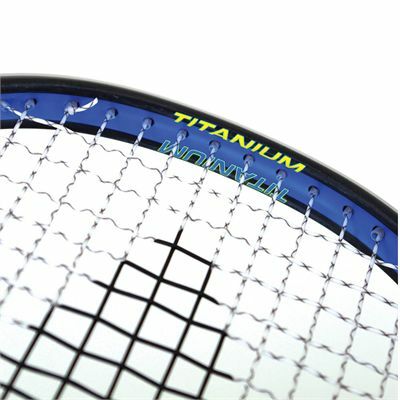 The racquet delivers excellent shot sensation and provides proper potential power without much effort behind each stroke thanks to the open throat teardrop head. 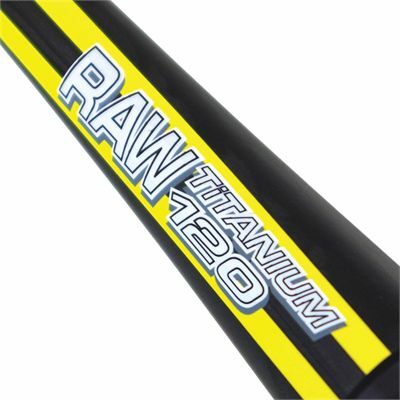 Furthermore, with lighter weight at 120 grams (4.2oz), the racket moves faster, controls better and ensures excellent overall handling and responsive feel. 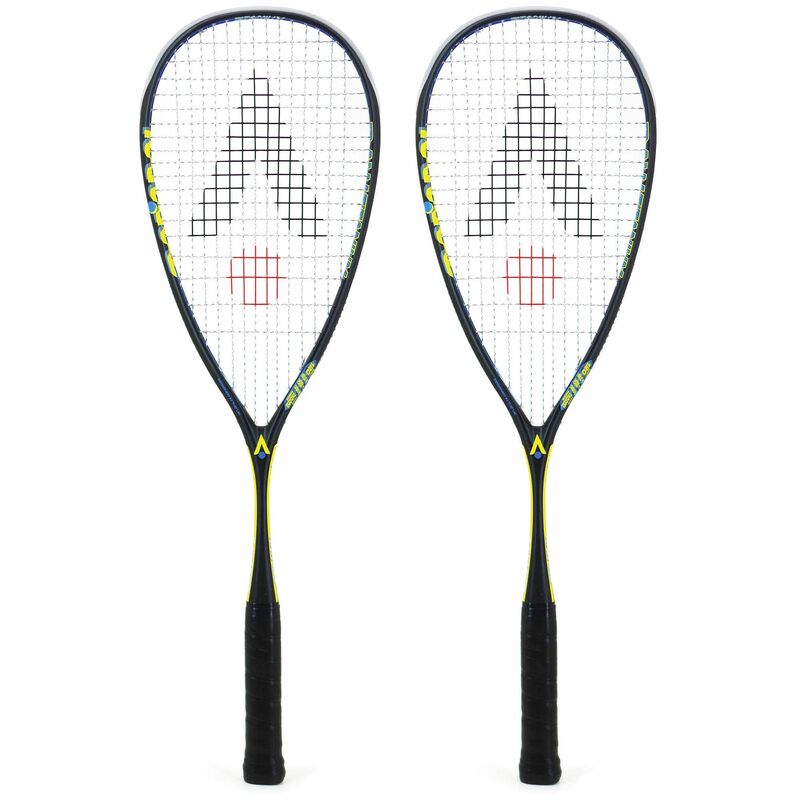 Both frames arrive pre-strung with Nano Spiral string for extra spin and touch, and are fitted with comfortable, tacky Karakal PU Super grip. Additionally, each racquet comes with a full-length cover for optimal storage and essential protection from scratching and dust. 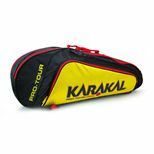 Save 20% on the Karakal Pro Tour Match 4 Racket Bag when purchasing this product! 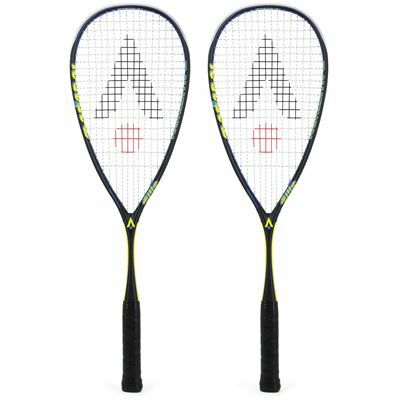 for submitting product information about Karakal Raw 120 Squash Racket Double Pack We aim to answer all questions within 2-3 days. 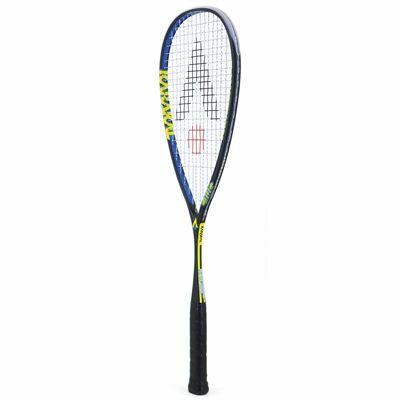 for submitting product information about Karakal Raw 120 Squash Racket Double Pack. We aim to answer all questions within 2-3 days. If you provided your name and email address, we will email you as soon as the answer is published. 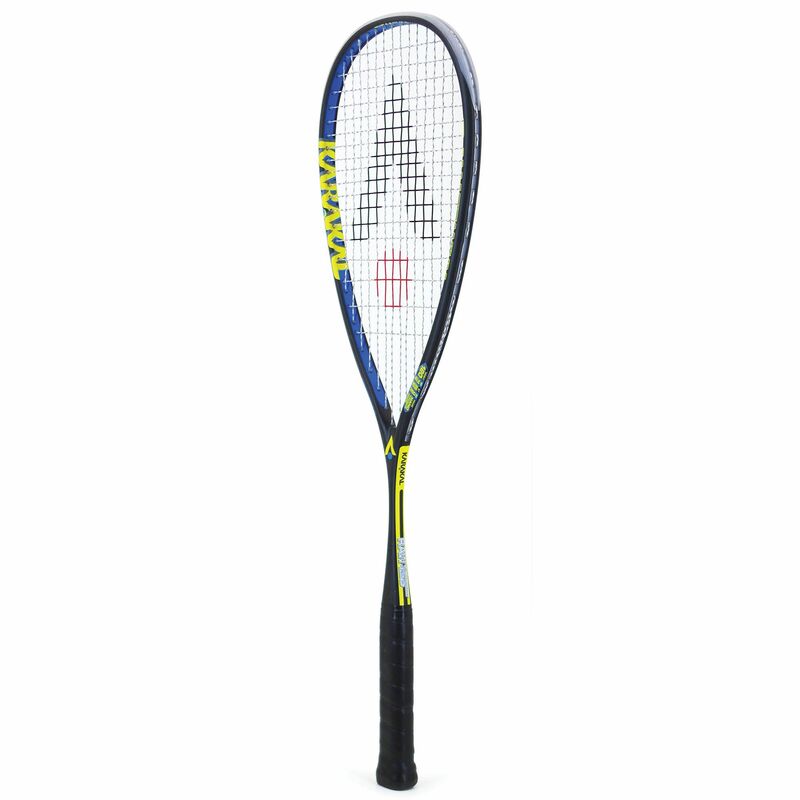 for submitting product review about Karakal Raw 120 Squash Racket Double Pack.